In this December Paytm is back again with best offer for DTH users. 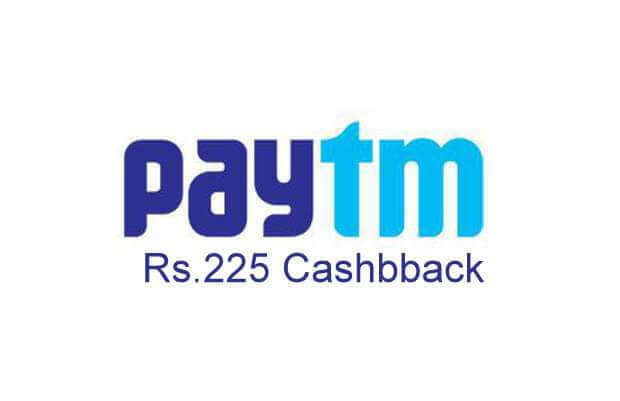 In this offer you will get flat Rs.225 cashback on Rs.1000 or more DTH Recharge via paytm. but thing to remeber that is, this offer valid for New users only not patym old users. So just create new account and get this loot offer. Visit Paytm offer page by click on link below. Put DTH Recharge amount Rs.1000 or More. Now Proceed to your DTH Recharge. Rs.225 cashback will be added in your paytm wallet with in 1 hours. This promo Code can be used only once per user. Valid only on DTH Recharge only.